Recorded Live at Longhorn , Stuttgart , Germany - November 19,2000. Files: 20.:: Size: 583.66 MB (flac). 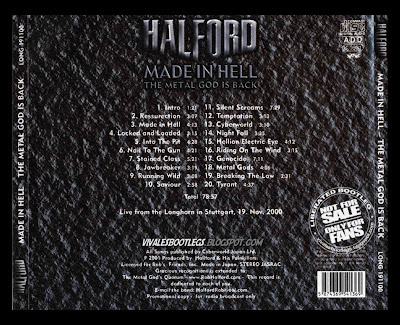 Personnel: Rob Halford – vocals, Patrick Lachman – guitar, Mike Chlasciak – guitar, Ray Riendeau – bass, Bobby Jarzombek – drums. 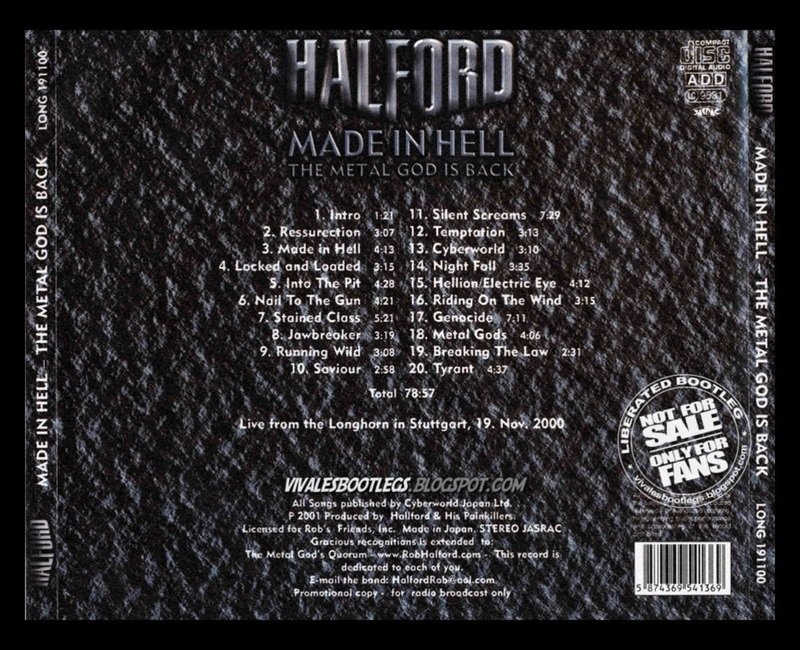 As with most Silver-Bootlegs, dates and venues might not be those that are written on the artwork or the CDs themselves. I always do my best to give good information, but I sometimes just can´t guarantee. <- Info taken from original .nfo file>.